Have you guys checked out Wikipedia? – the online Encyclopedia. It is such an amazing source of information – from academics to current issues to MBA stuff to sports – you name it and it is there. The best part of this is that it is a community based site and so, the information builds up as more and more people submit content – amazing concept – a perfect example of a Network good. Check it out – it will definitely turn out to be useful :). Wi-Fi network in Mountain View – now, thats NICE 🙂 ! As the world comes to grip with the heat wave that is engulfing America and Europe right now, here are some tips to keep cool during these times. Its amazing how simple these tips are and if done diligently can make us feel more comfortable during these times. 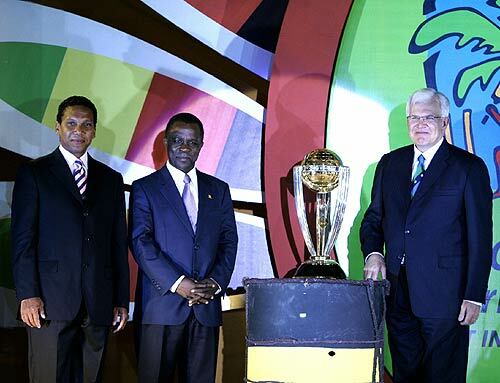 The ICC has officially launched the World Cup logo, mascot, World Cup trophy and also the schedule. This was done in New Delhi yesterday by officials of the ICC and the members of the Organizing committee. The fact that it was done in New Delhi goes to show how important India is as a market for the success of the World Cup. Read on …. The first phase of ticket bookings for the World Cup will be over on Monday, July 31st. If you have not yet applied for it, then this is the best chance for you to do so. Details on how to purchase tickets can be found here. Since the beginning of last weekend, US and more specifically California has been under a severe heat wave. Over the weekend, temperatures hovered around 105 degrees on average in California – boy! – it was excruciatingly hot. I have never seen it so hot here – probably in India but the humidity factor in Kolkata would probably cool the temperatures a bit. 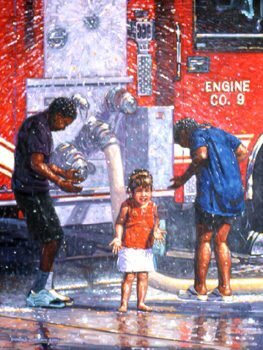 Here, the lack of humidity makes it completely dry and so the heat is “hot and dry” heat – the worst that you can get. Naturally, the power consumption has gone over the roof and the state is finding out ways to cope up with this increase in power consumption. The one thing that strikes me for sure is that environmentalists are now going to be strengthened in the continuing debate over global warming – Al Gore surely might end up running for the Presidency again :).